I grew up with Sharon Cuneta's career at the helm of the action. She's called the "MEGASTAR" for a reason. You would see her almost everywhere, be it in TV commercials, television specials, variety shows, talk shows, movies, you name it and she's probably there. Correct me if I am wrong, but the GGV time slot of Vice Ganda used to be Sharon Cuneta's musical variety show entitled "The Sharon Cuneta Show". 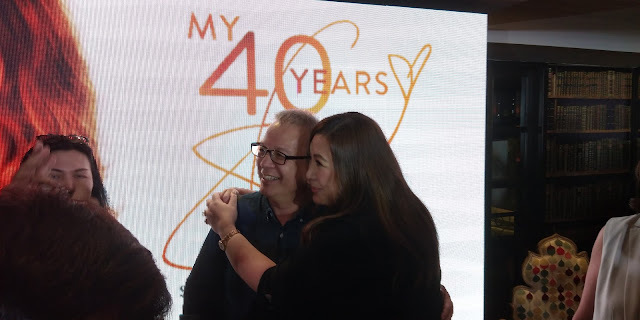 I believe, Sunday night programs are reserved to the network's superstar and the megastar had a ten year stint with Kapamilya in that particular time slot. Then sadly she slowly faded away after leaving the Kapamilya network. A lot of rumors came out and they're not even nice. So, imagine my happiness when she came back to the #Kapamilya network after a lengthy hiatus. Genuine. That is how I would describe her smile the first time I laid my eyes on her. You see, I was never a "Sharonian" though when I was so much younger, my friends and I would pretend that we were the trio of Sana'y Wala ng Wakas. I remember when we were first year high school, at the "Alleluiahan" in front of our school, my friends and I would sit there and listen to Sharon's music. With a cassette recorder in tow, my friend Ning, who has the most beautiful voice among us would play as "Sharon Cuneta", I don't really remember well if it was my bff Pia or me who played Dina Bonnevie. Hmmm...I think I pretended to be Cherry Gil because I love her dialogue in that movie. "You're nothing but a second rate, trying hard copycat! " Ha ha ha! Oh my goodness, I still know her lines after all these years! I even got hit by a flying ball courtesy of Jingo who accidentally kicked it straight to my face when my friends and I were daydreaming to be the Sana'y wala ng Wakas Trio, lol. 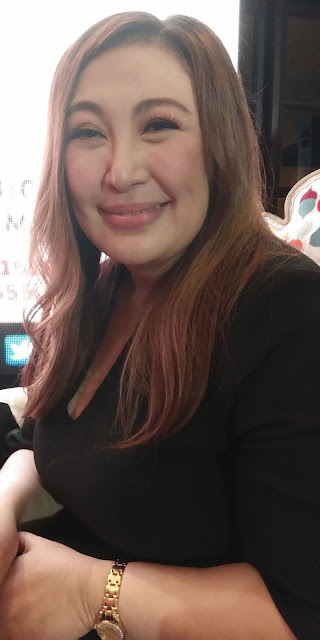 Recently, I was bowled over by the lists of Sharon Cuneta's achievements when I got invited to a blogger conference at Todd English. I never thought that she is a song writer until she revealed it to all of us. She's the song writer behind some songs popularized by several popular singers. She's a total package! Beauty and Brains in the real sense of the word. No wonder she captures the heart of Senator Kiko and the hearts of her fans. I was able to interview some of them during the event. 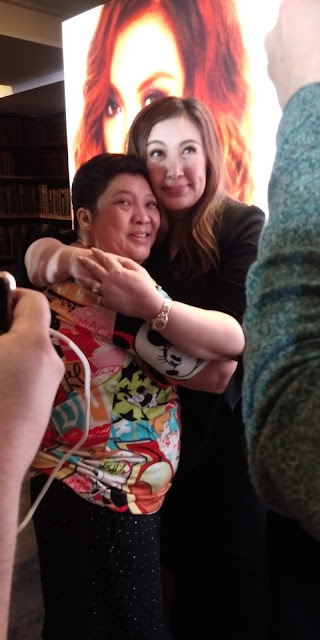 A 14-year old fan flew all the way from Cebu just for that special night with Sharon. Another fan, a 21-year old lass from Davao flew in just to see Sharon. Another one flew from Bicol, another is from Germany. It is simply amazing! Sa tutuo lang po, na overwhelm ako sa pinakitang suporta at pagmamahal ng mga Sharonians sa kanilang idolo. More power to all of you guys! Sweet- You could not deny the fact that Sharon is really sweet. Not only to her family and friends but also to her fans and everyone else. Heart- You know that feeling when you met someone who has a heart that cares? That is exactly what she exudes. Appreciative- Sharon appreciates the love and care given by her fans. She knows them by their names. And that is amazing to a person with her position and stature. As you know, there's a lot of popular individuals who don't even smile to their fans. Parang utang na loob mo pa kapag nag smile sila. Ha ha ha! But with the megastar, unlimited smile and yakap pa siya to her fans. Unbelievable but true. She is so sweet to everyone. 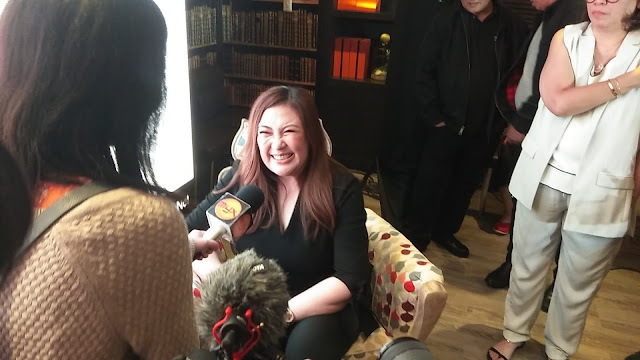 Radiant- Sharon Cuneta emanates light and joy. She radiates that energy that makes you feel light even though you have problems. Maybe that's part of her charm. You could feel it for yourself when you get to met her personally. Obliging - ready to do favors. She is very helpful. She has everything. She doesn't need to work, but she still does to help more people. Natural- Warm, calm and jolly. She has a very pleasant personality. I became a fan after that short encounter. I find her so charming. NOTE: This is not a sponsored post. I did not even win anything sa pa raffle niya. I was not given anything kahit magkano not even pamasahe, except for a Magnolia chicken which I eventually forgot hu hu hu nasayang, sira na siya when I remember na meron palang ibinigay na hilaw na chicken na need lutuin. This is my own experience when I was given a chance to know her a little bit better. All pictures and opinions are mine.